Scope of Work: Design, Negotiations and Construction Oversight. Even with the Southern California thermostat registering comfortably in the mid 70s (which sounds downright balmy to the Northeast), the San Diego Padres can’t wait for summer. Because, when the gates of Petco Park open for the 2015 season, Padres fans will be treated to an HD experience for the first time. 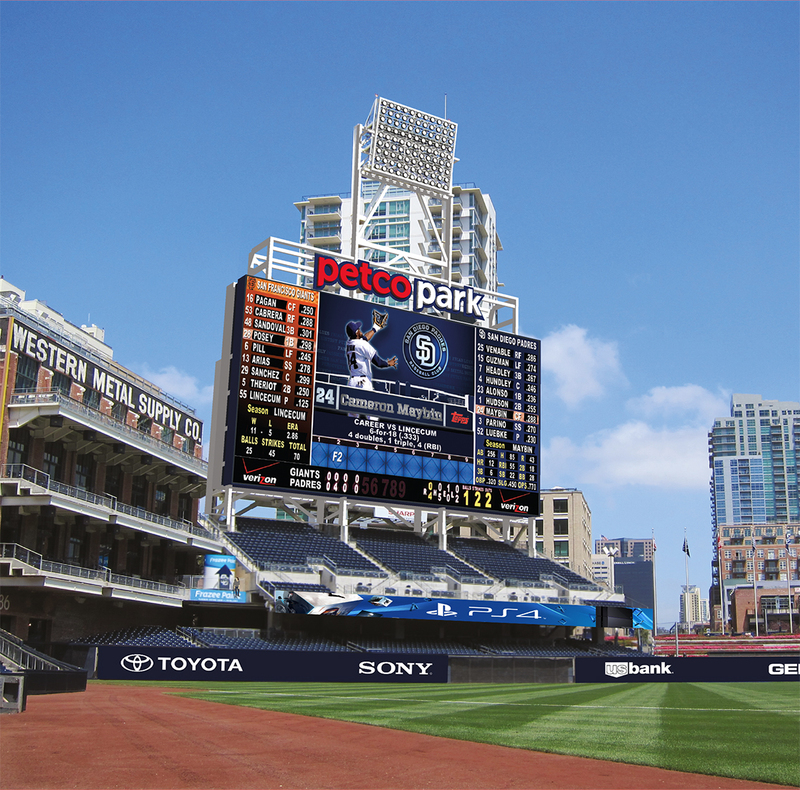 Centerpiece of the latest phase of Petco Park renovations is the state-of-the-art left-field HD videoboard manufactured by Daktronics. 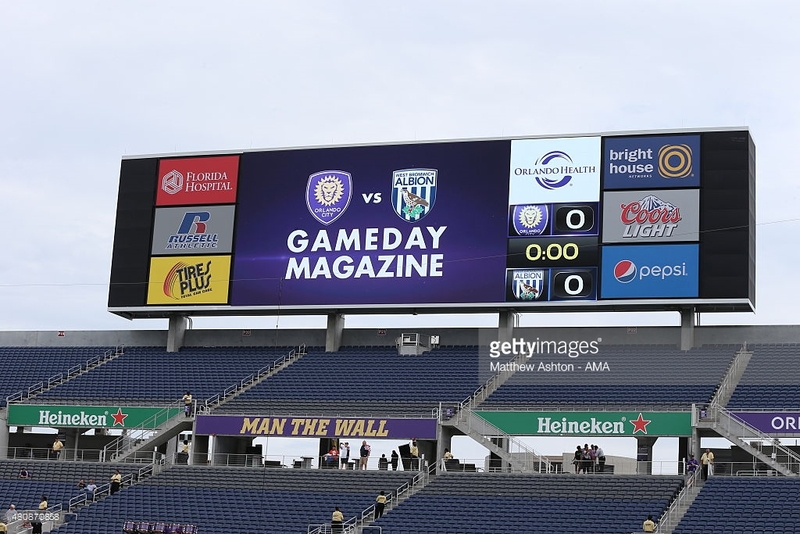 Measuring 61.2 ft. tall by 123.6 ft. wide, the new videoboard is nearly five times the size of the previous board and will be Major League Baseball’s third-largest (behind Seattle and Kansas City) and the National League’s largest (edging out Philadelphia). The Padres will be able to show full-screen live game action, video replays, or fan prompts or split the screen into sections for statistical information, graphics, and animations. In addition to the left-field display, the Padres installed LED ribbon boards stretching nearly 750 ft. along the first- and third-base lines on the Toyota Terrace level, as well as 130 ft. of ribbon boards on the left-field grandstand. Working alongside Meyer this season is Matt Coy, who joins the San Diego Padres from the Dallas Cowboys. 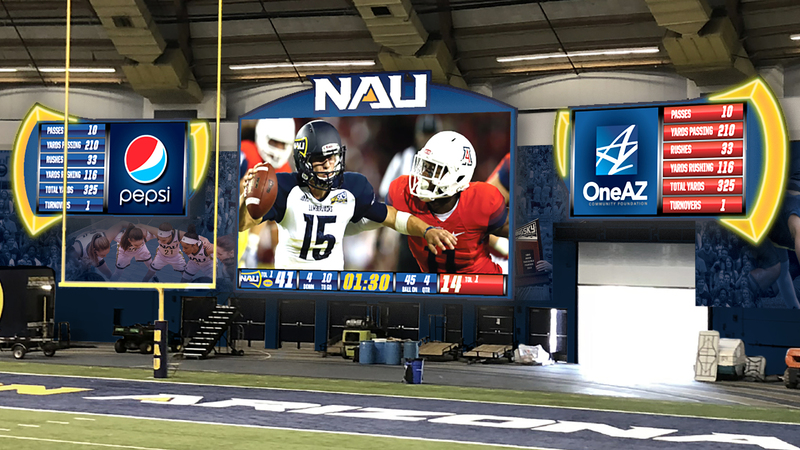 He will serve as senior director of game-day presentation and plans to draw on his experience with the large-scale videoboard at AT&T Stadium. The Padres also added eight mini scoreboards located under overhangs in the seating bowl on the field level, along with new 60-in. 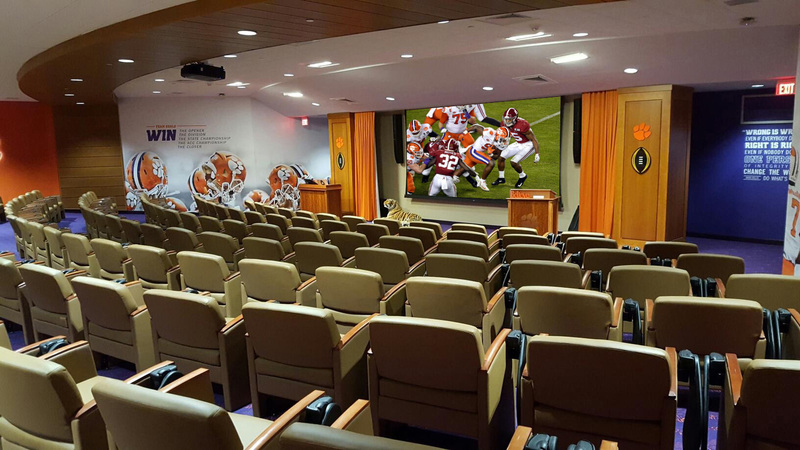 Sony TVs in the same areas, to give fans seated in the back of those sections better views. 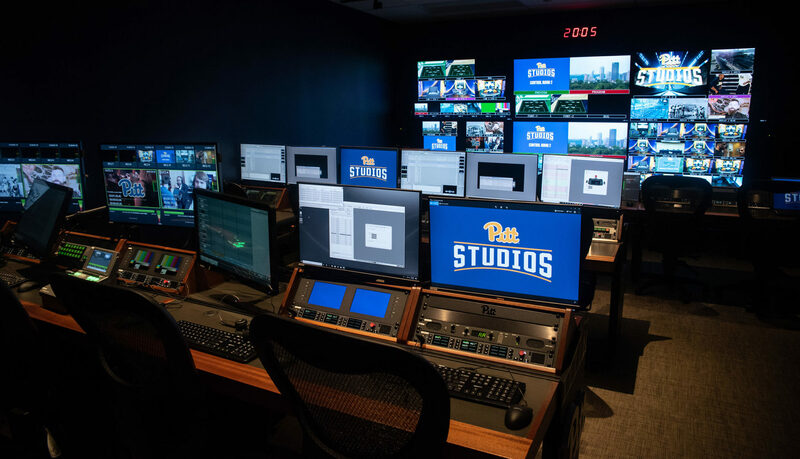 To support the new HD videoboards, the Padres partnered with Sony and Diversified Systems on an HD control room. Located on the press level on the third-base side, the control room houses a Sony MVS8000x switcher, ChyronHego graphics servers, Click Effects CrossFire servers, and Evertz router, DreamCatcher replay servers, and terminal gear. 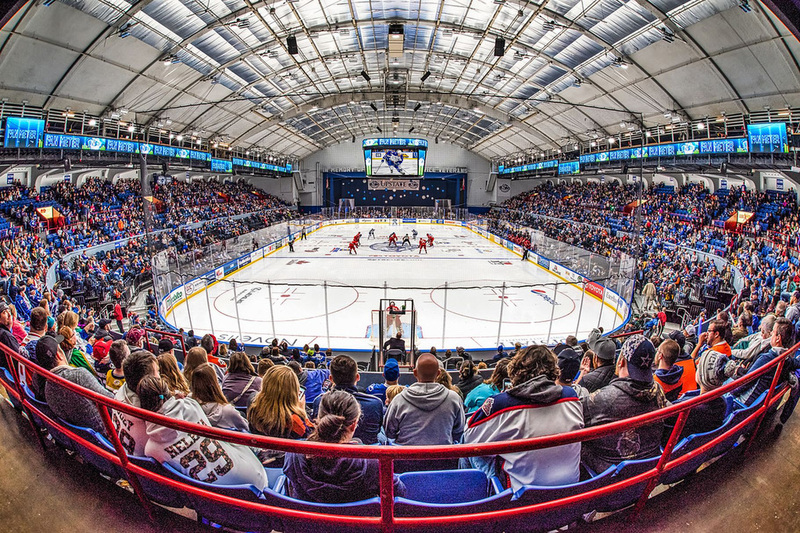 The team will deploy a complement of Sony HSC300 cameras and two wireless roving cameras while it considers additional models for 4K acquisition. Prior to the renovation, the Padres produced HD content that was shared with Fox Sports San Diego for the regional sports network’s broadcast. Thanks to the end-to-end upgrade to HD, the Padres can now play out this content in 1080i instead of needing to downconvert to SD. This phase, currently under way, marks the third phase of renovations at Petco Park, which opened in 2004. 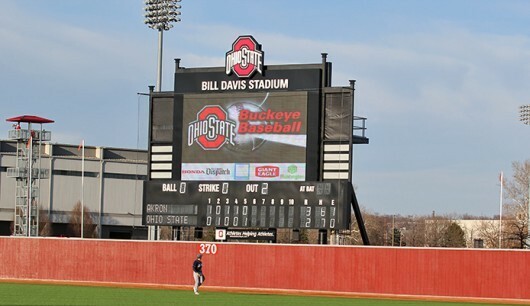 In the first two phases, ribbon boards were installed in right field, along with a 10-mm HD videoboard on the back of the park, and the audio system was overhauled. The current phase also allows for improvements to the left-field seating area, including the addition of seats to five sections in the front of the left-field lower box and removal of seats from the back of these sections.